The Rules: if you find a secret inventory of utterly deadly battle tech. 1) Do not try it. 2) Do not tell anyone. 3) Do NOT let thieves in behind you. What’s more secret than top-secret? The Inventory. Home to the deadliest inventions the world isn’t ready for. Invisible camouflage. HoverBoots. Indestructible metals. Plus a giant creature of chaos: war robot Iron Fist. No one has ever broken past the state-of-the-art AI security system. (Seriously, most bad guys have no idea this stuff is even there.) Problem 1: the security robot wasn’t ready for a gang of kids wandering in. Problem 2: they’ve ONLY brought the ruthless Shadow Helix gang in behind them. Seriously dumb, but it’s a bit late for ‘sorry’. 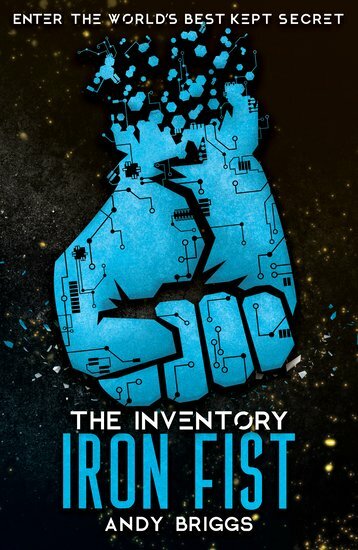 Say hello to trouble: the Iron Fist is in the wrong hands!